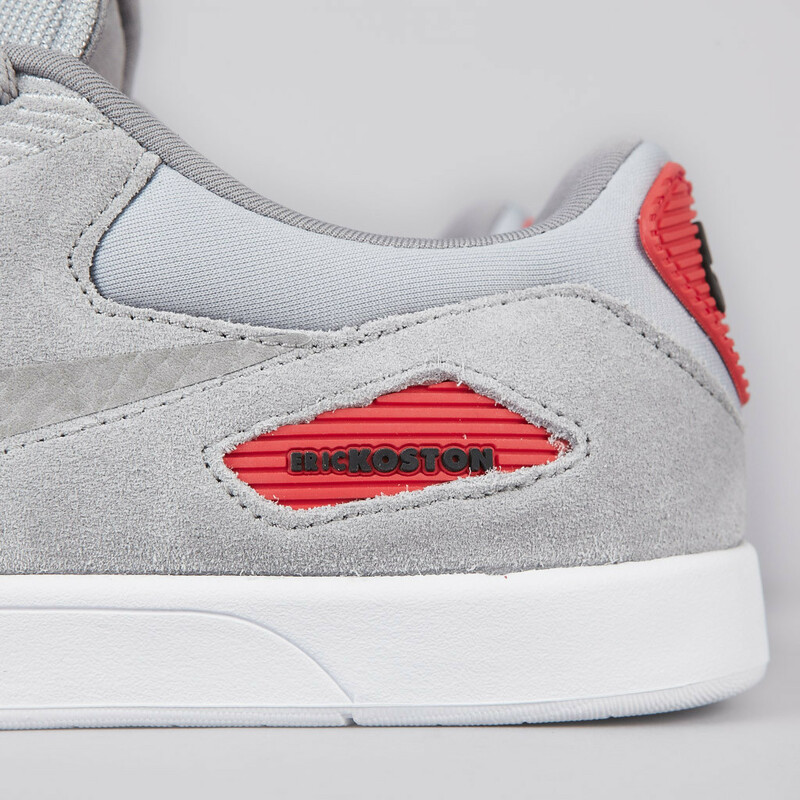 The second colorway of the Nike SB Koston x Heritage debuted this week, featuring a metallic silver-based, Air Max 90-inspired upper with sunburst red accents. 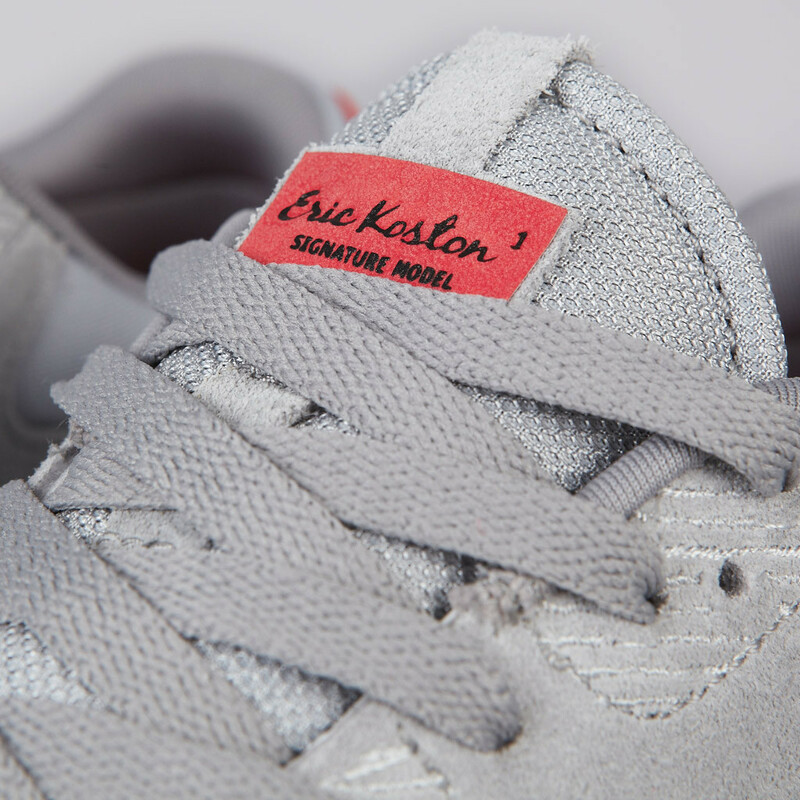 The Koston x Heritage combines elements of the Eric Koston 1 and the classic Air Max 90 (Koston's favorite running shoes). 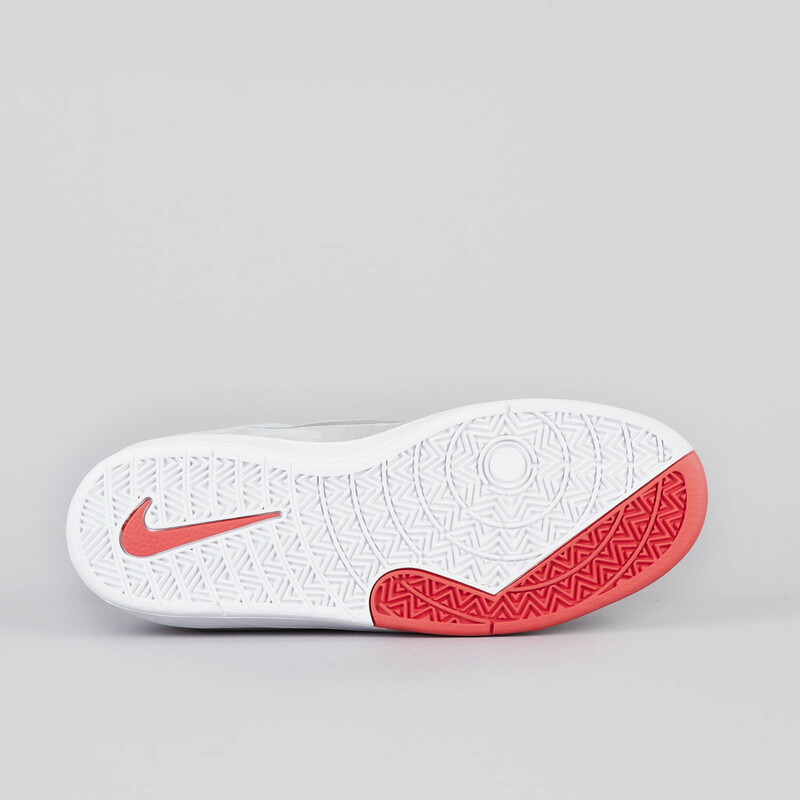 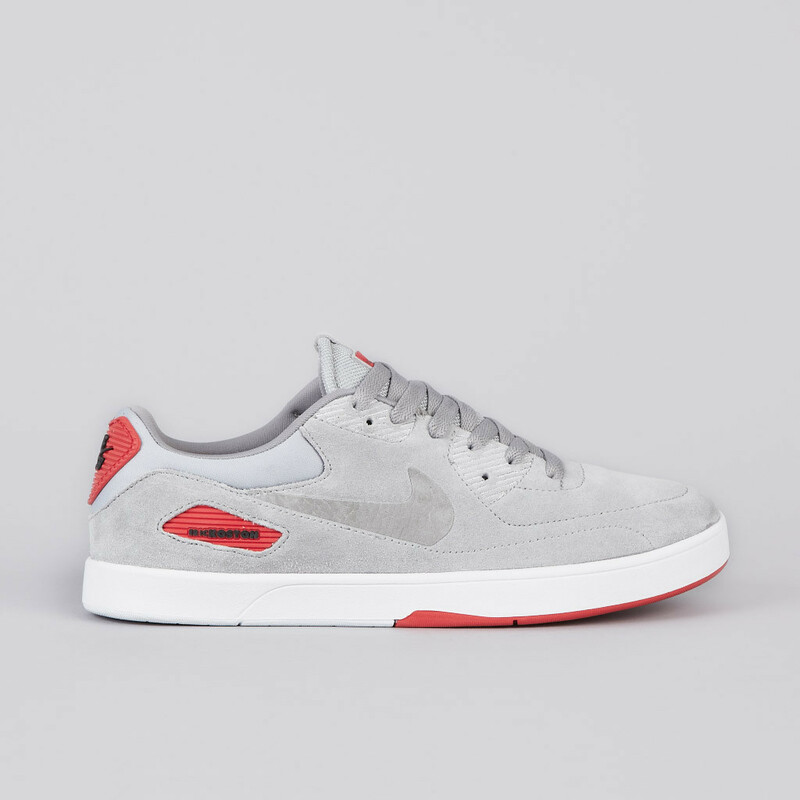 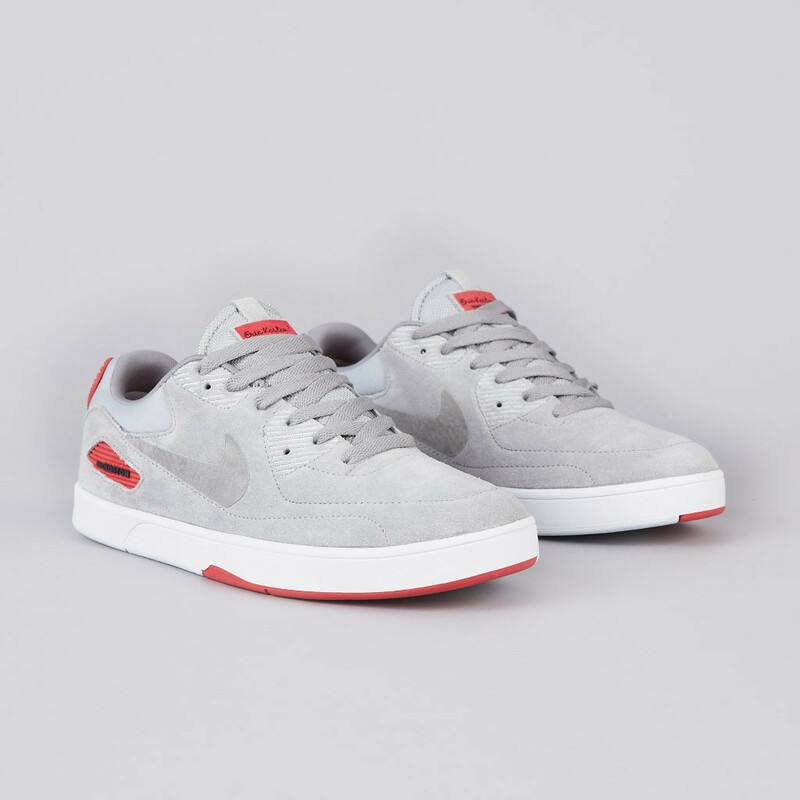 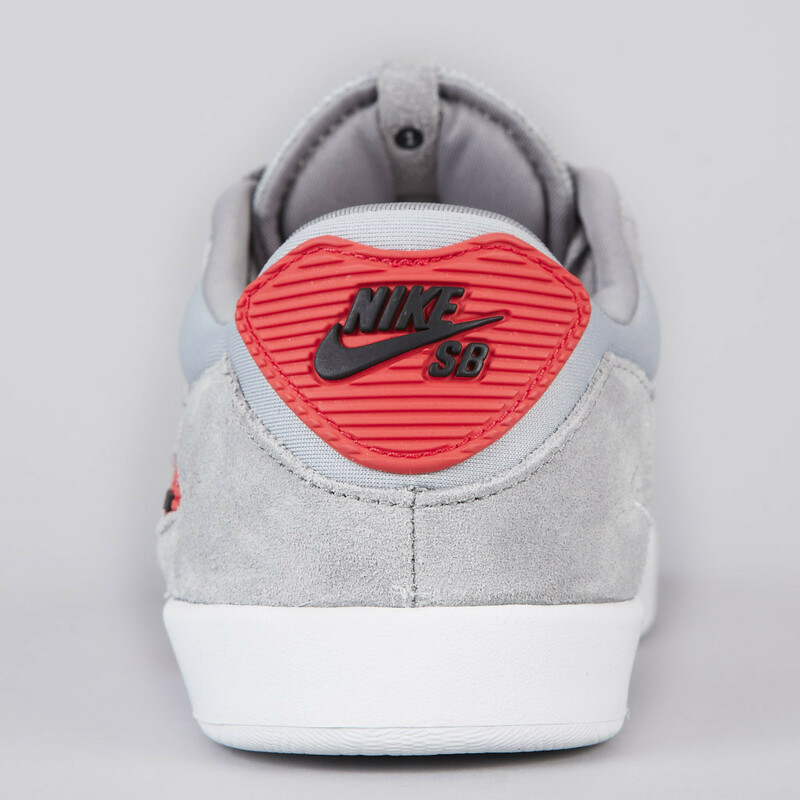 The shoe features familiar design cues, with "Eric Koston" replacing "Air Max" on the rubber heel detail. 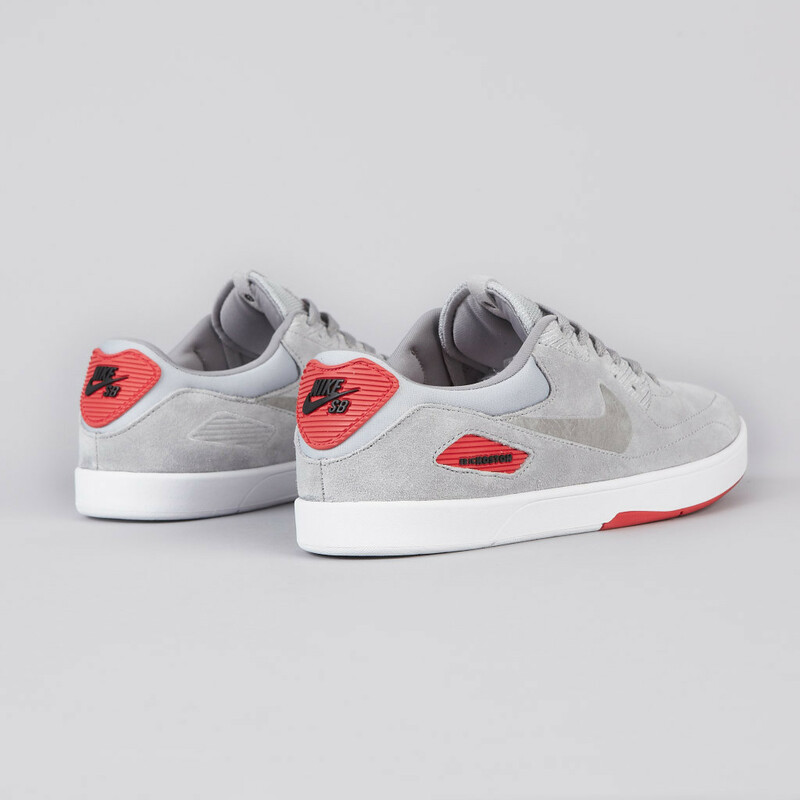 The Nike SB Koston x Heritage in Metallic Silver / Medium Grey / Sunburst / Black is available now at select Nike Skateboarding retailers, including online at Flatspot.